Star Sign Style's Winter Solstice Beauty Rituals – Don't Hibernate! The sacred Solstice, a time of year to bring light into the dark night and slow down. Nature hibernates in this cold season and we’ve the tendency to hide too. But rather than totally retreating, treat your body like the temple it is, rest and recuperate gently in soft candlelight. 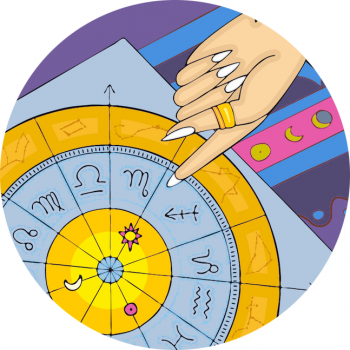 It’s an excellent time to replenish skin; Capricorn’s ruler Saturn is the guardian of our dermis. We can reassess our health and realign our bodies, too – our skeletons (another Saturnian thing). The Winter Solstice is a turning point, as the season changes. This is reflected in the zodiac by the driver signs – the Cardinal signs Aries, Cancer, Libra and Capricorn who all ruler over a seasonal shift, a Solstice or Equinox. It’s nice to mark the moment, acknowledging the turning of time with a ritual. So fitting for Capricorn season. Yes, baby it’s cold outside and it’s lovely to warm up in a sweltering sauna of a bathroom, however heat isn’t great for the skin’s ability to hold in moisture. Feet as dry as old stuffing? I hear ya. Soak your tootsies in warm, soapy water and buff away till your hearts content. You’ll thank me for this prod, and you know it’s easy peasy with a foot file… Moisturise and slip into cosy bed socks. No-one wants dry, cracked lips puckering up beneath a chiming clock on New Year and the fact is, lips so become chapped in the winter. If you suffer from particularly sore smackers avoid waxy, scented or lanolin based balms. You’ll feel the color rush to your cheeks when you take a brisk (or slow) walk in the woods BUT don’t forget SPF (at least 30), as the sun still shines in winter. Doctor’s in the UK are now prescribing nature to their patients! Mull over the smells and sensations of your surroundings and go natural – foundation looks TERRIBLE on dry wintery skin sop opt for a solution with a dewy finish. Avoid cakey powder and matte makeup. Exfoliate and use an extra-rich creamy moisturiser. And, avoid The ‘Leo Look’. Queen of summer, the lioness rulers over bronzers and a killer tan. Save this look for Leo season and the summer solstice, gang. If you’re out and about and prone to flyaway hair use a silk scarf as a chic beauty accessory and tool for keeping flyaway strands smooth. Tuck hair neatly beneath the scarf and enjoy a salon moment on arrival. I’m a big fan of eye lash extensions, for when my lashes are wanting a little oomph (y’know what I mean). You can also invest in a decent waterproof mascara (for those wet and windy winter nights) and a few corner lashes that come off with no bother. Guess who wears the most easy and beautiful smile on their face over Christmas? It’s not all about a flawless face of makeup, you can also achieve beauty from the inside out. Seek meaningful interactions with family and friends now, many of whom you don’t usually get to connect with. Love you guys, Happy Winter Solstice!